Although it is a small country, Belize is one of the premier destinations in the world for scuba diving. Belize sits on the coast of the Caribbean Sea, just south of the Yucatan peninsula, with 240 miles of coastline and countless cayes (islands). Among these hundreds of cayes, some are privately owned or resorts, but most are stunningly natural, untouched, and look like they came belong on a poster. Belize is also home to the second largest barrier reef system in the world, making it hugely popular with snorkelers and divers. The range of diving you can do in Belize, despite its small size, is one reason for its vast popularity, and it can vary depending on whether you are in the north, south, or outer atolls. Due to the fact tourism is a huge part of the Belize economy, one of the most common careers for Belizeans is as a tour guide. Belizean’s often come from a long line of fisherman, boaters, or lobster catchers, and so naturally have a comfort with the sea, making them very skilled and knowledgeable diving guides. As a result you will hear visitors comment on the wealth of memorable dives and skilled instructors available in Belize. There are several world-class diving operations in Belize such as Ramon’s, Neptune’s Cove, and SeaStar. The most popular stops in southern Belize are the Silk Cayes and Laughing Bird Caye. A simple Google image search for Silk Caye will show you why. 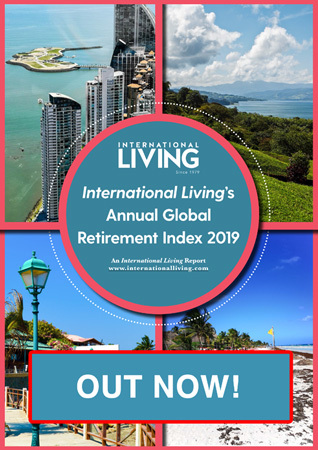 Although tiny, it packs unbelievable aesthetic value with rustic charm, lush palm trees, and a stunning coast where you can see countless shades of blue water. Here you can swim with rays, nurse sharks, and turtles. A bit closer to the mainland is Laughing Bird Caye, where you will find an amazing array of tropical fish. Laughing Bird is slightly larger than the Silk Cayes and you are within the barrier reef for the boat ride out, which makes for a much smoother ride. Whale shark diving has put Belize on the map as it is one of the only places in the world where you can dive with a creature the size of a school bus. However, this is seasonal, usually in May or June during a full moon. The Gladden Spit, a marine reserve, is the place to be during whale shark season, located near Placencia, about a 90-minute boat ride away, it is a spawning site for many different tropical fish, which in turn attracts the whale shark. In the north of the country, two very popular spots are Hol Chan and Mexico Rocks. These are very prominent dive or snorkels spots from Ambergris Caye or Caye Caulker, as the boat ride is just minutes away. At Hol Chan you can swim near the coral reef, and at Shark Ray Alley you can swim with nurse sharks and rays. Mexico Rocks is a slightly longer boat ride north, but once there you will enjoy a vast array of tropical fish and coral. Both are marine reserves—Mexico Rocks is known more for large coral heads, while Hol Chan is all about the creatures you will meet. You can even do a night dive in Hol Chan. For a list of dive spots in northern Belize visit https://ambergriscaye.com/pages/town/divesites.html. The outer atolls (a ring-shaped group of coral that often has an enclosed or partially enclosed lagoon in the middle) are visited by guests from all over the world. The famous Glovers Reef is a UNESCO World Heritage Site and is a popular spot, as there are five islands in the atoll, with some of the best diving and snorkeling in Belize. 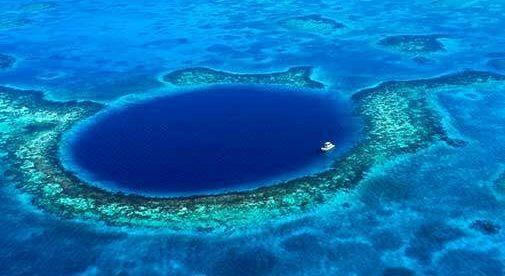 The Blue Hole is a “sinkhole” about a three-hour boat ride from Ambergris Caye. In fact, Jacques Cousteau declared it one of the top five scuba diving sites in the world in the 1970s, and it’s also a World Heritage Site. The Blue Hole is located within Lighthouse Reef, considered as one of the best dive sites in the Caribbean. 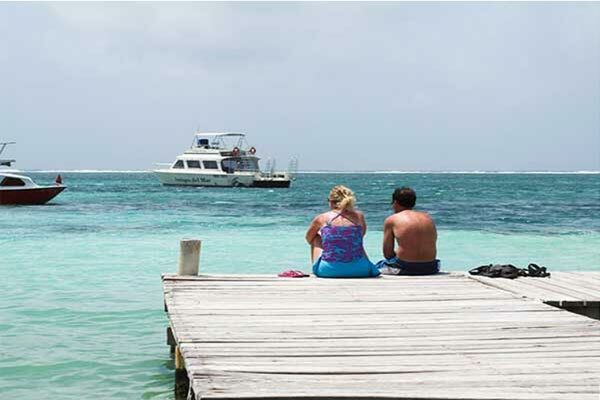 Popular stops here are Half Moon Caye Wall, Long Caye Aquarium, Silver Caves, Tres Cocos, and West Point. You can expect to see healthy coral, a range of tropical fish species, turtles, and more. There are also dozens of amazing remote island resorts you can stay on to get as close to these sites as possible. For a list of atoll hotels ranging from rustic beach cabins to luxury island resorts visit https://www.belize.com/islands-hotels-directory/.